Clinch-Powell board members and staff had the opportunity to educate local officials on the importance of their support for the services in housing, conservation and tourism that Clinch-Powell provides to the community. 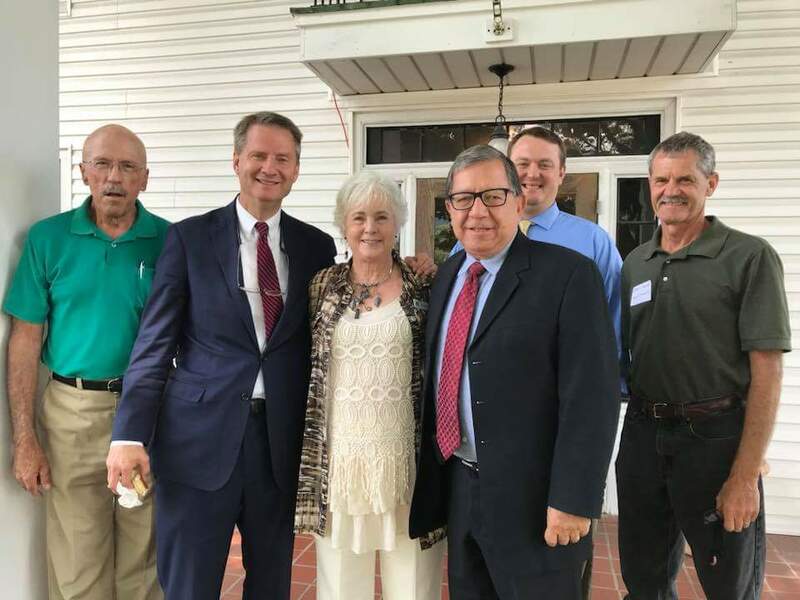 Former Knox County Mayor and U.S. Congressional Candidate Tim Burchett was in attendance along with newly elected Mayors Mike Byrd of Grainger County, Joe Brooks of Claiborne County, and Mark Potts of Jefferson County. Also in attendance were several of Clinch-Powell’s Community Partners including Jean-Ann Washam of Appalachian Outreach, Cody Brown and Bo Blanken of Farm Bureau Insurance, George Shirley, Kristi Hodge, and Mary Ann Dalton of Citizens Bank and Trust of Grainger County and community members Francis and Don Resnick of Claiborne County. Grainger, Claiborne and Jefferson Counties are all included in Clinch-Powell’s primary service area along with Hamblen, Hancock, Hawkins and Union Counties. But most of the services Clinch-Powell offers are available statewide. Deputy Executive Director Sabrina Seamon provided an organizational overview, and discussed the many housing services that Clinch-Powell provides. Ronald Lambert, Clinch-Powell’s joint employee with The Nature Conservancy, detailed the long history and current work in conservation that the organization is involved in. Stephani McCarty, Appalachia CARES AmeriCorps Assistant Program Director, informed the group on the far reaching AmeriCorps program, one of the largest in the state, that Clinch-Powell has operated since 1996. All of these programs provide invaluable services to Tennessee residents and funding from the community, as well as state and federal grants, is critical to their continuation. Clinch-Powell strives to help all local, state and federal officials understand the impact that programs like these have on their constituents and welcomes open conversation with all decision makers. If you would like more information about Clinch-Powell or its programs visit www.clinchpowell.net or call 865-828-5927.